This post has to be addressed to you because every time I eat a butter, I remember you and can almost hear you say “they use their feet to mix the dough, and maybe their sweat mixes with it or even worse, their snot”. It still didn’t stop me from loving this crisp bun (closest description). 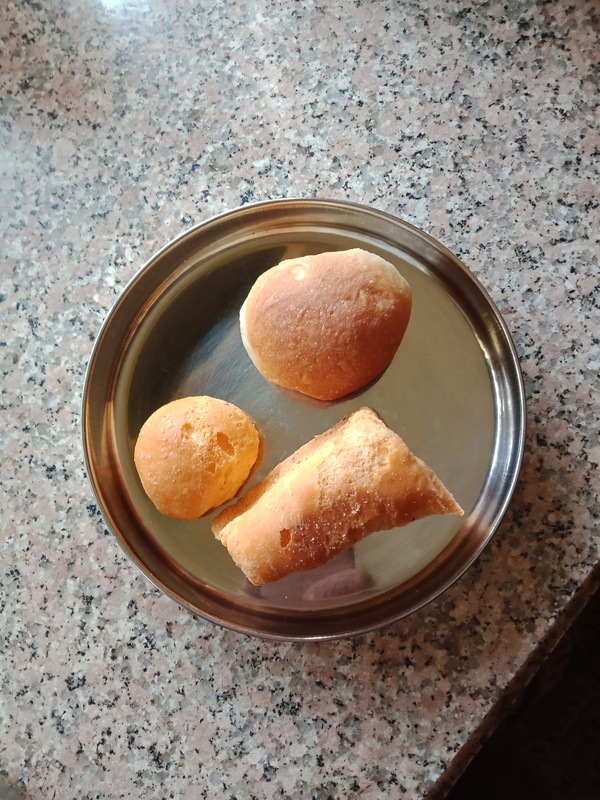 This time when we were in Pune, Usha Akka had got a special butter for me and Chitappa and Akka brought a whole lot of it as we were leaving from Pune. I have it in stock !! Then I got Geetu and Harish to buy me two packs of it from a shop near their house. I also bought from a vendor on the street. So am well stocked and I ration it so that it lasts long enough for me. 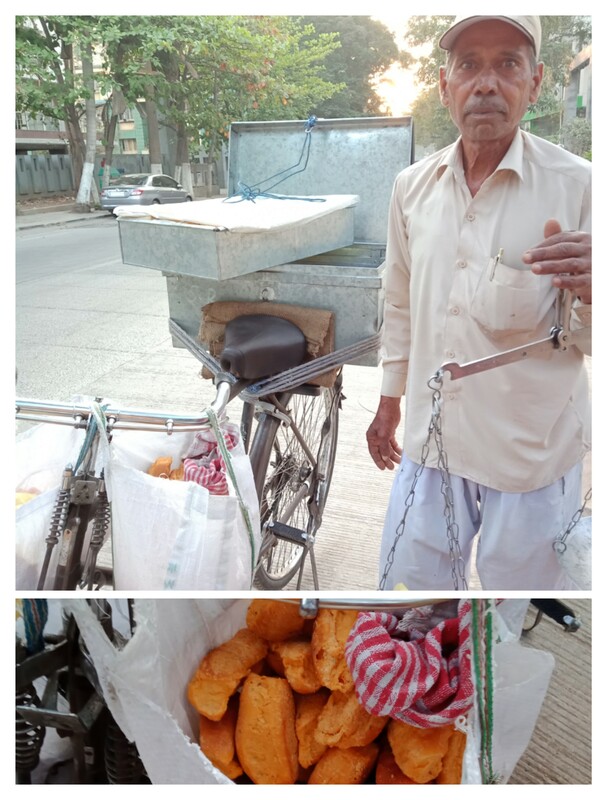 Mr. Chandram, who sells “butter” in the mornings. These were really nice. Everyone – this is eaten usually with hot sugary tea, by dipping it into the tea. Since we have given up on sugar and drink tea without it, I just eat it as a snack. Appa, I also have a complaint, why did you never get me to eat a “Bhakarwadi”?? Again to compensate for it, I have bought sufficient quantity from Chitale Bandhu and Sanjay also got me a packet. All my friends know that they have to get me a packet of Chitale Bandhu Bhakarwadi whenever they visit Pune. Poor Subbu had to get it every time he came to the ISB campus during our Pgpmax program. Alert – all those who have eaten some “Bhakarwadi” please understand that you haven’t eaten the original till you have eaten the Chitale Bandhu “Bhakarwadi”. Anyone who has not eaten any “Bhakarwadi”, please taste, you are missing something outstanding. And of course everyone in Mumbai and Pune – I envy your access to the awesome “pav” … nothing comes close to that taste anywhere else in India. Guess I just have to learn how to make them myself. Appa …. missed you acutely in Pune. So many memories of our scooter trips, the seedless grapes and that ice cream on the first floor somewhere ! We will go back next year again and will visit Dehu Road. Revisit with us in spirit :). Lots of love and still not forgiving you for not introducing me to Chitale Bandhu Bhakarwadi.